Coaxial cables are commonly used for data communication, transmitting video & radio signals in both consumer and industrial applications. Various cable types are available depending on the frequency, temperature and impedance of the device with which it is being used. These cables are then terminated by a wide selection of reliable, durable and IP rated connectors. 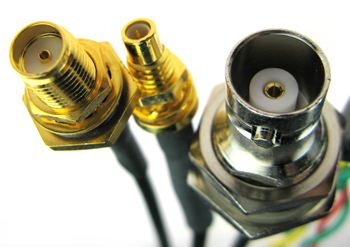 Coaxial cables offer multiple effects on the transmission of signals. The signal is protected from outside interference including metal objects, electronics and radio signals. The protective layers also keep the signal from leaking out. 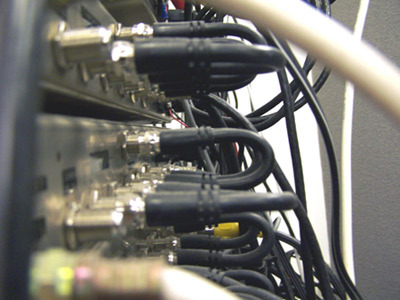 CAPACITY – These cables are capable of transmitting large amounts of data at a high speed. This makes them the ideal cable type to use for broadband Internet connection and television service. FREQUENCY RANGE – Copper has the ability to work with higher frequencies, it is therefore the most frequently used wire within a coaxial cable . Coaxial cables can transmit various types of frequencies. This makes them a good choice for running multiple connections on the same line. PROTECTION – Coaxial cables are protected by thick layers of insulation. This not only protects the delicate wires inside from breaking; it also keeps outside interference from the wires. The lack of interference means that the cables are able to transmit information more efficiently. FLEXIBILITY – Coaxial cable is designed to bend easily. This allows it to travel around corners and up and down walls or wire tubes. Hunter Cable Assembly offer a wide range of coaxial cables for various applications. Available in different sizes, levels of interference/weather protection and different impedance levels. Heavy duty coaxial such as RG8 cable can withstand long-term use in outdoor applications. These cables can then be terminated by various different types of connectors. Below is a selection of some of the Coaxial Connectors which Hunter Cable Assembly can supply. Suitable for applications where space, weight, performance and ease of assembly are required in RF circuits. Suitable for mobile & fixed communication systems.